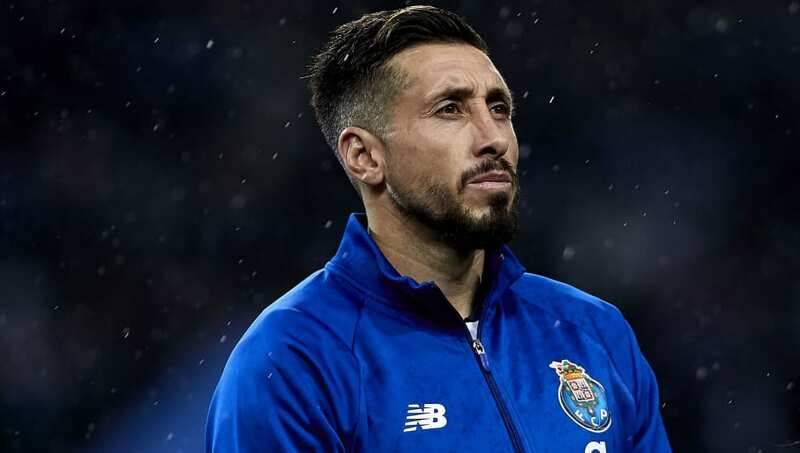 Inter are set to beat Premier League competition from Arsenal and Tottenham Hotspur for the signature of Porto's Mexican midfielder Héctor Herrera. Both north London sides have been linked with a move for the Mexican international in recent years, but neither club have made a substantial move for the midfielder, whose contract is due to expire in the summer. According to ​talkSPORT, the 28-year-old is yet to agree terms over a new deal with the Portuguese side, which has paved the way for a summer exit with Inter, ​Tottenham and Arsenal among the favourites to recruit the midfielder for free. During the summer, there was much speculation surrounding the future of the Mexican, with a host of sides with European calibre keen, including Roma, Real Madrid and Barcelona. Meanwhile, reports at the time from Portugal's ​Correio da Manhã, indicated that ​Arsenal were Herrera's favoured suitors. However, reports in Italy from ​Sport Italia suggest that Inter are close to securing the future of Herrera, who seems ready to swap the blue and white colours of Porto for the black and blue of Inter. It is believed that ​Inter are already in discussions with the midfielder and are set to offer him a contract in the new year, ahead of a proposed move in the summer, although the Nerazzurri may also choose to pay for his services in the January window. Herrera has made 209 senior appearances for the Azuis e Brancos, scoring 29 goals since arriving in 2013 from Pachuca. He won the league title with Porto last season and also helped the side to two Portuguese Super Cup titles. He is an established Mexico international and has made 70 appearances, helping them to a CONCACAF Gold Cup triumph in 2015.